Spring is in the air and I cannot get enough of it! The rain showers have turned everything green, the flowers are blooming, the weather is warming up, and the fresh produce is starting to come out of hibernation. This gnocchi dish tastes as fresh as it looks. I usually make it during the summer, but I found some fresh basil and squash at my local market, and just had to dust off the old recipe card. This recipe is one that I made up in college when I had gotten sick of the heavy, greasy, or packaged food my roommates and I would concoct in our tiny kitchen. We were craving something healthy and refreshing. This did just the trick and it is versatile enough to modify throughout the warm weather seasons and your particular veggie cravings. In a large skillet, heat butter over medium high heat. Add the squash and garlic. Season with salt and pepper and stir to coat the squash. Cook stirring occasionally, until the squash is crisp/tender, about 4-5 minutes. 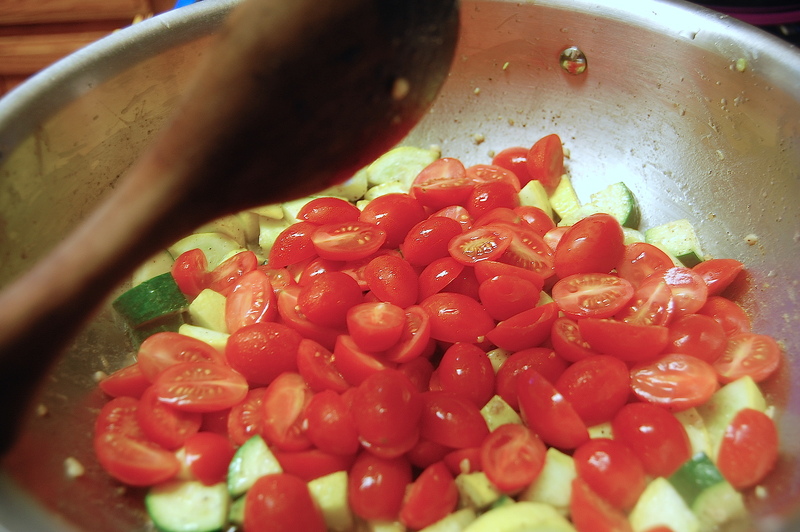 Add the tomatoes and cook until a juice starts to form in the pan, about 5 minutes. 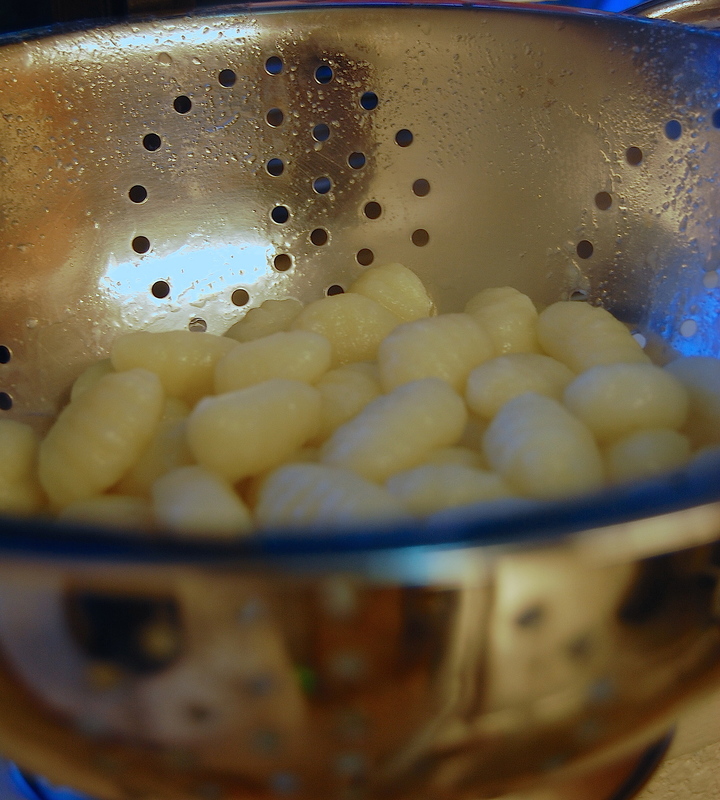 Meanwhile, in a large pot of salted water, boil your gnocchi. Follow the directions on the package for whichever gnocchi you bought. If you can buy fresh gnocchi go for it! If not, the have plenty of packaged or frozen gnocchi at your local grocery store. 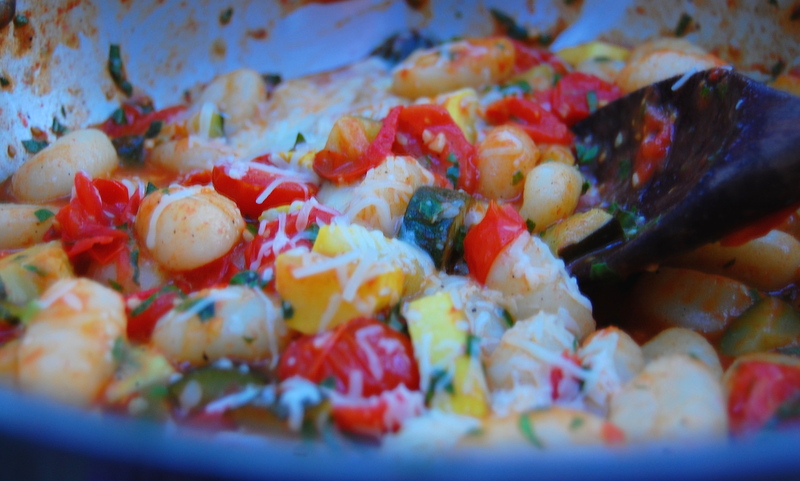 Drain the gnocchi (reserve 1/4 cup of the pasta water) when cooked and transfer it to your skillet of veggie goodness. Remove the skillet from heat and stir in the basil, cheese, and lemon juice. 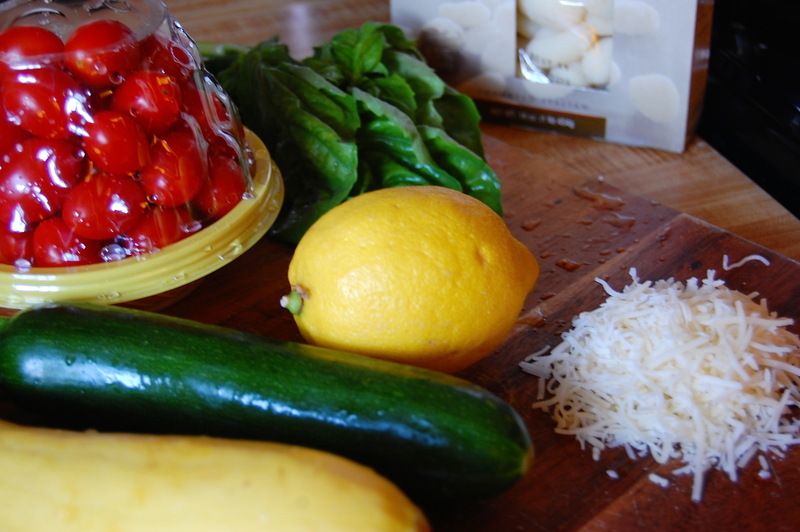 Tags: basil, dinner, easy, fresh, gnocchi, grape tomatoes, healthy, light, lunch, quick, squash, summer, zucchini. Bookmark the permalink.